Here on DALS, veteran readers might have guessed by now, I’ve attempted to solve a whole range of dinner quandaries, from the quick-and-dirty meals you need in your arsenal on a Tuesday night, to the turkey you need in the center of the table on Thanksgiving. Amazingly, though, in the nearly 950 (!) posts I’ve written here, I’ve never once addressed this most pressing of head-scratchers: What do you make when one of your daughter’s oldest closest friends, the one your daughter thinks of as a cousin, the one who you all only see once or twice a year…comes to dinner? Apparently it wasn’t in any way a quandary for my daughter. Combine all of the following in a small bowl and chill in advance to let the flavors mingle. Over medium-high heat, heat about two inches of vegetable oil in a Dutch Oven (or a wok or a deep-sided skillet if you have no other choice). After about five minutes, drop a tiny bit of batter into the oil. It should sizzle enthusiastically but not spit. Using your fingers, dip shrimp into batter, let excess drip off, and drop into skillet. Repeat with three or four more shrimp (You do not want to crowd the pan), flipping once after about 30 seconds. After they’ve cooked for a little over a minute, total, remove with a slotted spoon to a paper-towel lined plate. Repeat with remaining shrimp until you’ve cooked them all. Warm 8-10 corn tortillas wrapped in foil in a 375° oven or heat them briefly over the burner of a gas stove or grill. 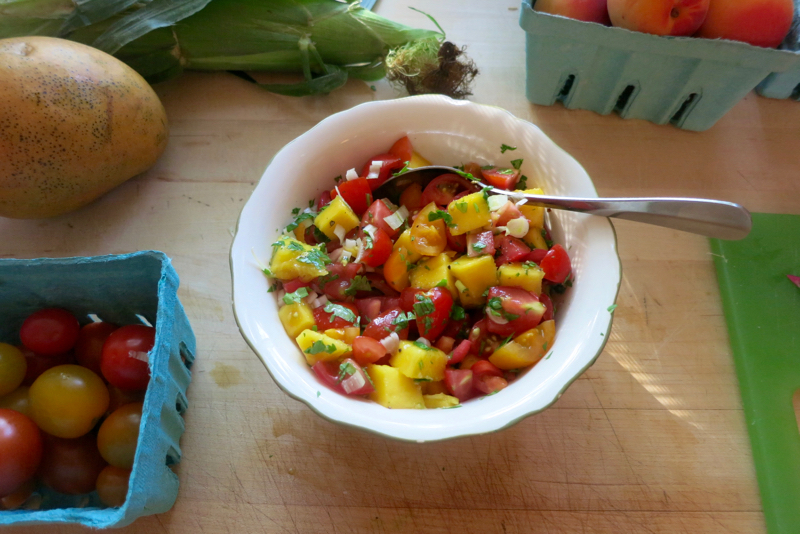 Place shrimp, salsa, assorted toppings, and tortillas on the dinner table and have diners serve themselves. You….don’t….have an electric skillet? Many years ago, I was s hooked when one of the moms in our co-op preschool brought hers to make latkes, and they were *perfect*, batch after batch. For around $60 you can suffer no more, and fry any time you like! I second the use of an electric skillet for frying and many other things. I use mine a lot for pancakes — best ever. Any time I want a consistent temperature, out comes the electric skillet. I third the use of an electric skillet. For me, the bonus is that I can set it up outside, so my whole house doesn’t SMELL like I fried food. (In the winter, I’ve been known to fry chicken in the garage). These look delicious! I will have to give them a try. My husband told me a few weeks ago that my fish tacos would be much better if I fried the fish. Apparently my version is a little too healthy tasting! I just want to know what two books she read, and if she liked them! (We LOVE Code Name Verity here…. so, if that was one, I hope she liked it!). 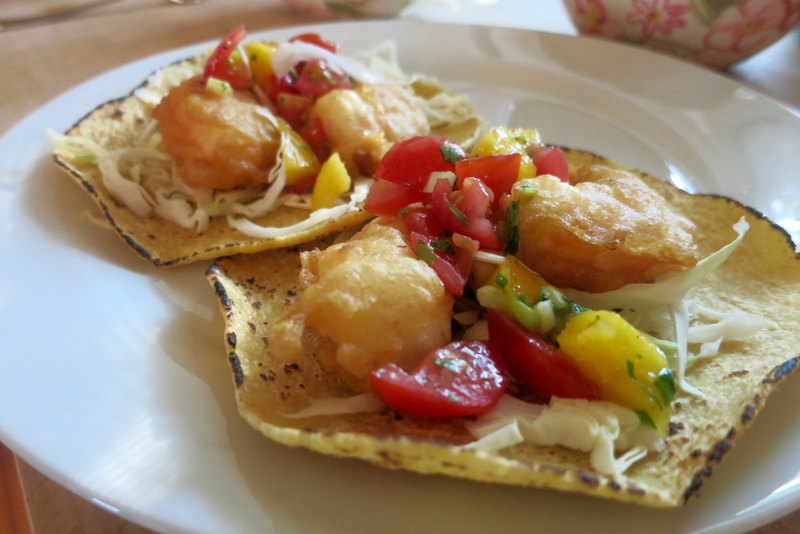 okay, the shrimp tacos also look terrific. 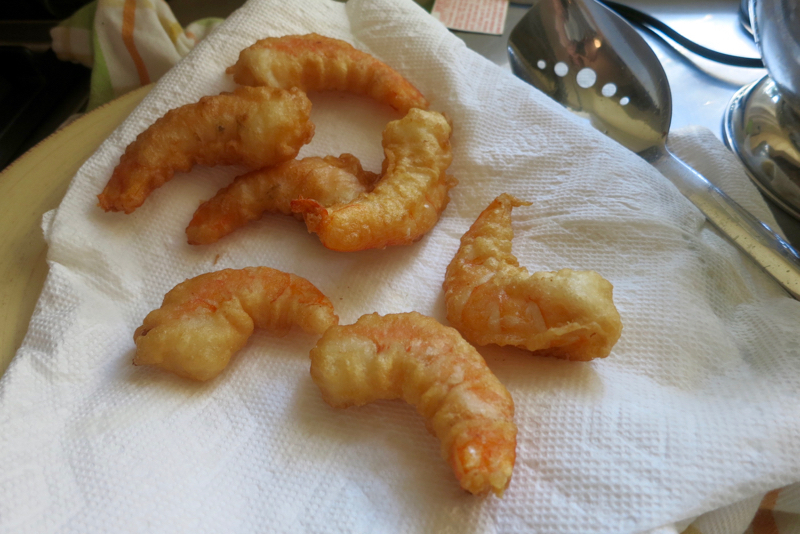 My 10 year old loves shrimp, though when he gets them fried he pulls all the batter OFF. crazy. I’ve stopped allowing him to order fried shrimp at this point! Wow!! Great dish.. I will try to make. Thanks for sharing this…!